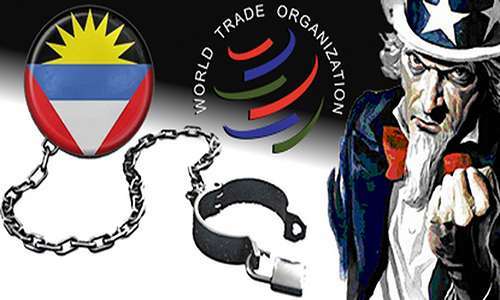 Antigua and Barbuda’s decade-and-a-half-long WTO [World Trade Organization] battle with the Unites States over the latter country’s refusal to allow open access to Antigua-based online-gambling sites appears to have returned to the politicking and lobbying stage. In statements made over the weekend by Antigua’s prime minister, Gaston Browne, it appears that the ongoing stalemate between the US and Antigua remains in place, despite threats made by Browne and his government last month. Browne, speaking at the Non-Aligned Movement (NAM) trade summit in Venezuela, called on fellow Central and South American countries to support Antigua in the matter, to help bring additional pressure on the US to help resolve the dispute. Back in 2007, and following the US’s passage of the UIGEA, Antigua received a WTO arbitration judgment worth $21 million annually, as economic compensation for the damage done to the Caribbean island nation’s once-thriving online gamblng economy. The 2007 judgment came after the US passed its UIGEA act in 2006, which essentially set its WTO trade-pact-violating policies in legislative stone. Since the form of the judgment granted, an abrogation of intellectual-property rights related to US-manufactured goods, is very difficult to collect, Antigua has long sought a “like value” settlement from the US. The US, for its part, has laughed at Antigua’s ongoing requests, through two separate Antigua government administrations. Antigua also receives other US aid, and has been reluctant to risk the economic wrath of the US by taking the hard in collecting the WTO-arbitrated judgment. Just a month ago, Antigua PM Browne threatened a “final offer” to the US in the matter. As part of that, Browne’s government purportedly was to lay out concrete plans for a manufactuting/marketing business which would produce and sell goods to collect on the WTO judgment. Said goods were to be royalty-free knockoffs of US-made products such as movies, music and software. Browne went on to talk about “justice,” “fairness” and “equity,” which are all well and true in the matter. However, the situation remains one where Antigua needs the heart to risk a US backlash in order to force a proper settlement. There’s no hope that the country will be able to force the US to reverse the UIGEA, the effects of which decimated Antigua’s economy, but the island nation is still due more than the current “paltry” US offers. Over a decade, Antigua’s leaders have been unwilling to take that final step, and put a physical process in place to collect that WTO judgment. And until the tiny island nation finds that will, no matter how many speeches are made, the status quo doesn’t change.